For this week’s midweek escape, I’m going to tell you a little love story. 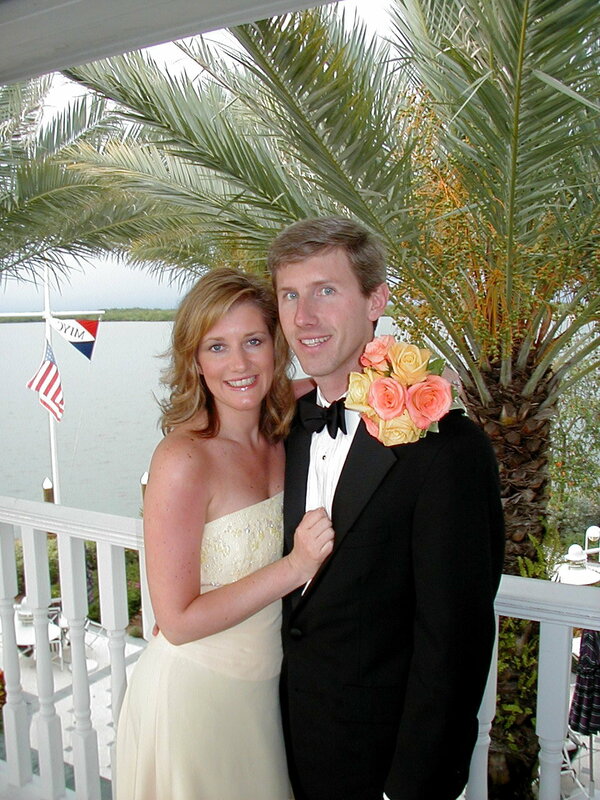 In Marco Island, Florida in 2004, but this love story is not about us. No! No! It’s not this one, even though that’s a good one. 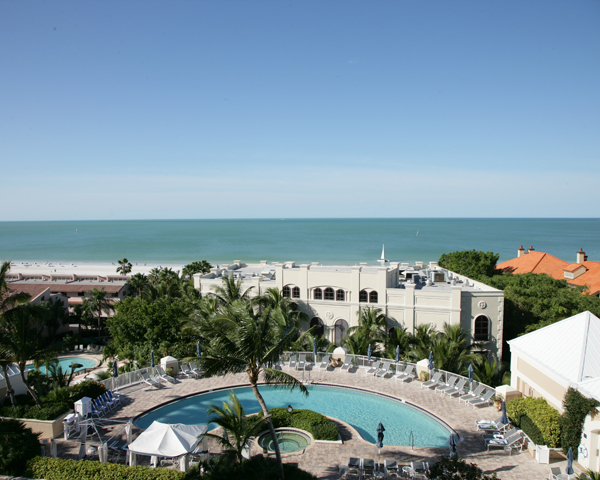 Rather, it’s a love story starring a beautiful oceanfront resort in Marco Island. 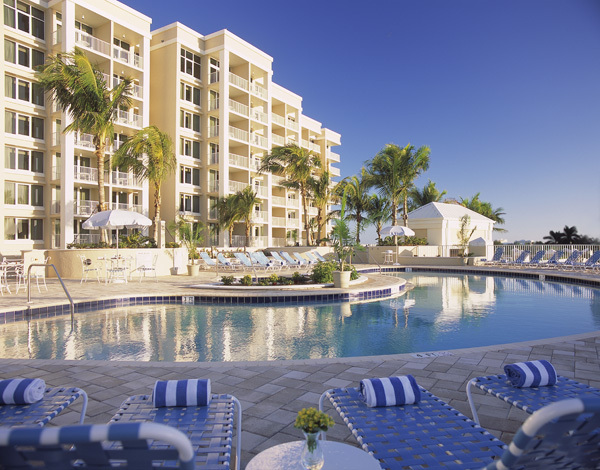 This love affair began on my first trip to the Naples/Marco Island area in South Florida at the all-suite luxurious Marco Beach Ocean Resort. In 2004, I was the matron-of-honor in my friend’s wedding. Her parents had a home on the island, so, naturally, she chose Marco Island as her wedding destination. Living in Raleigh, I was certainly unfamiliar with the area, but, honestly, the best advice I gave her was to tell her that she had to have her guests stay in this hotel. Thank goodness she trusted my hotel opinions because the Marco Beach Ocean Resort was everything I thought it would be and more. The rooms were divine. 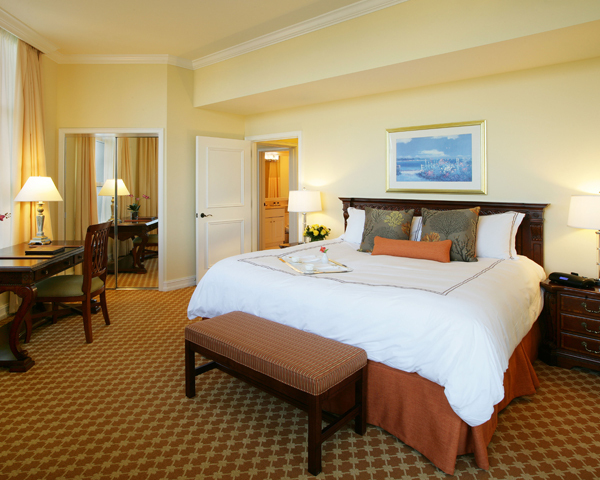 It’s exactly what you would expect from an AAA Four-Diamond Award winner. I had a fantastic breakfast on the balacony. I adore room service for breakfast. All suites were renovated two years ago, but my stay was just as elegant as it is today. The gulf views were amazing, and sitting on the white sand beach under an umbrella was heavenly, too. I sat in the third chair from the left. I'm kidding, but no matter where you sit, the gulf views are beautiful. 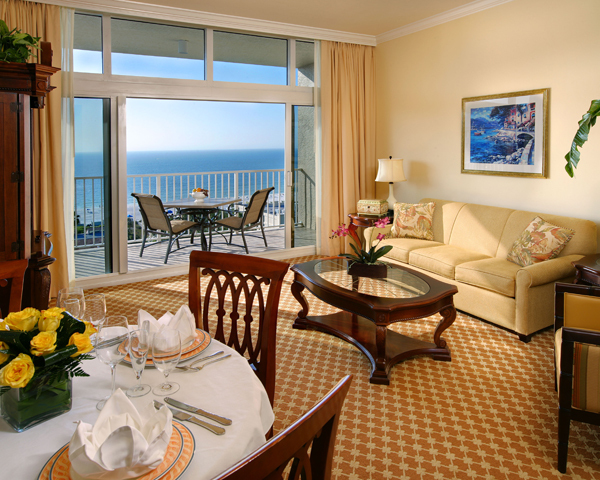 Also, the Marco Beach Ocean Resort has a food and beverage attendant. I had the best pina coladas! I felt so pampered. 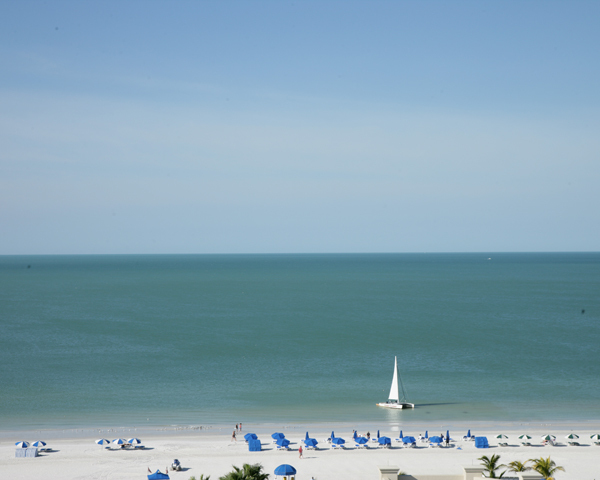 We were busy with wedding festivities, so I didn’t get to enjoy all of the hotel’s amenities (spa and restaurant) or discover all that Marco Island has to offer its visitors, but I did vow to return one day. The pool area is beautiful. Complimentary smoothies are served at 3 p.m. and Happy Hour starts at 4 p.m.
That has yet to happen! Sigh! Don’t despair. This is a happy love story, after all. I will be reunited with this great resort one day, but I have something else to share. With more than 185 exceptional hotels and resorts in spectacular locations around the world, my hotel love affair will continue for a long, long time. And speaking of travel, I'm about to hit the road. Be sure to follow me on Twitter, Instagram, and Facebook so you can travel along, too. Our destination is the lovely Mast Farm Inn in Valle Crucis, North Carolina. We're staying in Uncle Earl's Haven cabin, which is perfect because my uncle was named Earl. I don't think I could have planned that any better.